Don’t forget your pets when you prepare for your next big battle. 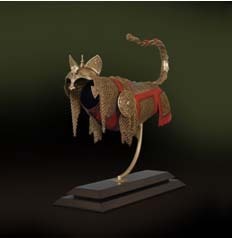 With these traditional inspired cat armor sets, even Fluffy can defend the homestead from mice and birds in style. 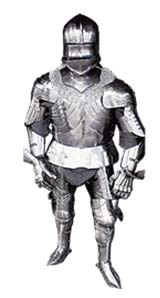 Featuring a helm, chainmail, breastplate, and even tail plating, this is the perfect addition to your collection and certain to be a conversation starter! Of course all these sets of armor will take up a lot of room and you may need to find another way to store them once you collect more than one or two!